The Indian steel group JSW is surprisingly saying goodbye to its extensive plans to enter the electric vehicle business and now wants to invest in other growth markets instead. 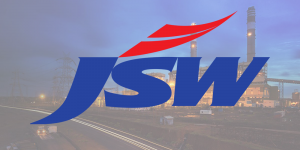 JSW justifies its decision with the fact that the uncertainties in connection with the electric vehicle business are “higher than expected”, which is why, after careful examination, it has decided not to operate this business any further. Originally, JSW Energy, the energy offshoot of the Indian steel group JSW, wanted to manufacture not only electric cars but also electric commercial vehicles in the future – and thus enter the e-mobility market on a broad front. Against this background, the company wanted to increase the investments in electric mobility that they had announced in 2017 – from 40 billion to 65 billion rupees (approx. 813 million euros). But this has all changed. Meanwhile, the second phase of the national eMobility subsidy program FAME, launched in 2015, came into force in India today. FAME 2 runs over a period of three years and has a budget of 100 billion rupees (1.24 billion euros). While a total funding amount of Rupees 8.95 billion (around EUR 110 million) has been distributed since 2015, expenditure is expected to multiply in the second phase. A sign of the importance that India’s political decision-makers now attach to the electric mobility sector, according to the “New Indian Express”. According to the government, the funds will be used over the next three years to support the purchase of 1 million electric two-wheelers, 500,000 electric tricycles, 55,000 electric four-wheelers and 7,000 buses. While the programme allows private applicants for two-wheeled vehicles, the other targets are primarily aimed at electrifying public transport and commercial services such as taxis and rickshaws.